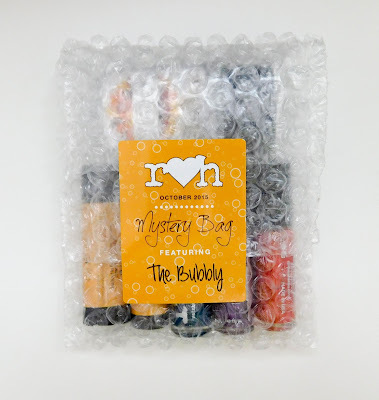 This month features The Bubbly, which I assumed will be a new collection Rainbow Honey is releasing soon! La Isla Morada - Does the Island of Purple really exist? We hope it does and we wanted to capture what is would look like with our deep purple lacquer sprinkled with black glitters, white shards and iridescent shimmer to create a purple island oasis on your nails! This is an interesting polish. the base purple and the small bits of glitter in it are gorgeous, but I'm not loving the bigger black and white pieces in it. I feel like it's just overdone and just too much going on. Just the purple is gorgeous, though, so I will tolerate it as an accent! This took two coats to become opaque. Magic Brix - Are you ready for another Magic World preview? Meet Magic Brix, a shiny brick red creme you'll have to stomp through to get to the next level! Magic World is an upcoming collection for 2016! This is a bit lighter than I would think of for a brick red polish, but it's so gorgeous that I don't care. It leans a bit orange, but that might be in due to the fact that there's gold shimmer. It's perfect, and actually matches the shadow I recently received from Notoriously Morbid! Two coats and it was perfectly opaque and smooth! My Midnight Garden - This color is quite the standout for an evening manicure! My Midnight Garden is a deep midnight emerald green with a hint of blue shimmer for added twinkle! My Midnight Garden will be part of the Midnight Garden Collection, set to be re-released (along with some new friends) in early 2016! Calling everyone, does this look emerald to you? It looks soooooooo blue to me, but that's fine because OMG it's perfection. One coat and smoothed out absolutely brilliantly. There's tons of blue and green shimmer, and I am in love. Also, I'm not sure if it's supposed to, but this smells like blueberries...which I'm so in love with. 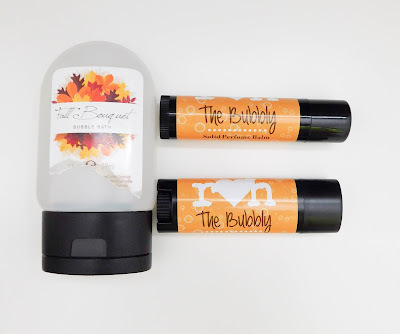 Fall Bouquet Bubble Bath - Formulated to produce a rich and creamy bath bubbles, our Fall Bouquet Bubble Bath, a light and fragrant blend of apples, wildberries and fall flowers, provides a relaxing bubble bath experience leaves you feeling refreshed and soft! This leaked a bit, thus how it's missing part of the label. I smell mostly flowers with this, but it's still a nice floral bubble bath. I'm not one to take baths, so I will pass this along to someone else that does enjoy baths! The Bubbly Solid Perfume Balm - Formulated with tons of shea butter and natural skin loving oils, The Bubbly Solid Perfume balm is a great 'pick me up' to dry skins spots all over and leaves behind our popular Bubbly scent! Strangely enough, it smells just like carbon dioxide from a soda. It's cool, but not my thing, so I will pass it along as well. The Bubbly Lip Balm - Did you hear? 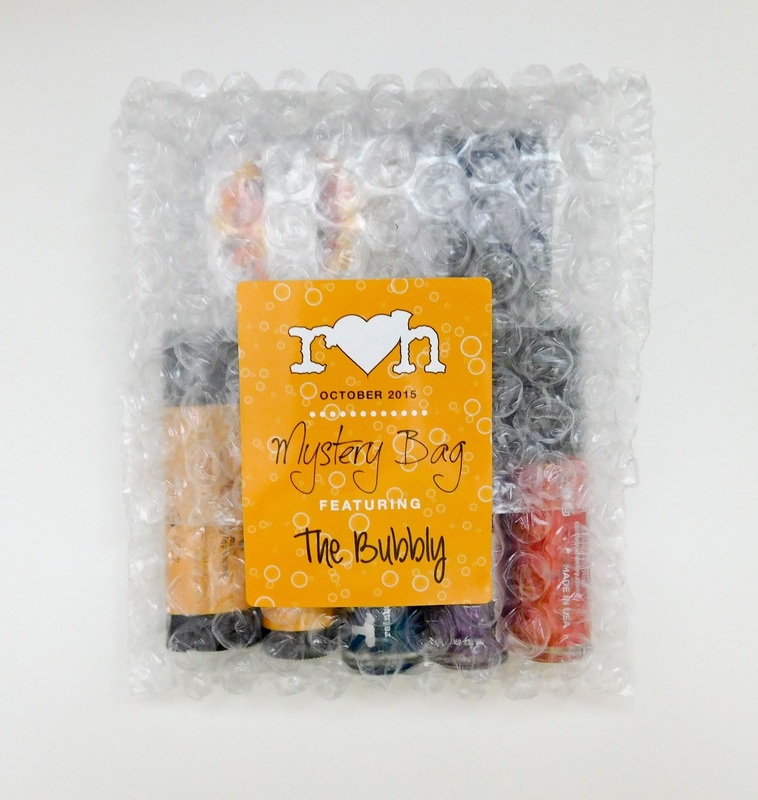 The Bubbly is coming back in December and to celebrate its return, we give you, the Bubbly Lip Balm! A new flavor to compliment our Bubbly fragrance! This is the same as above. It's not a bad scent, it's just not one that I'm a fan of. Therefore, I will give it to someone that I know will enjoy! Overall, I thought this was a wonderful bag. While I didn't love the products so much, the polishes are exactly perfect for me and for the bag. All three are great fall colors and they all applied wonderfully. For the price, I love that I received three great polishes. I'm actually going to find a full size of My Midnight Garden so I'll have plenty! If you want to see more Rainbow Honey reviews, click here!